"Age of the Commando". Matt Gallagher writes about the last decade or more where special operations forces have captured the imagination of the U.S. public at large. While he concentrates on the 'surgical strike' dudes he barely mentions the aspects of special warfare in a UW environment. Read his article entitled "Welcome to the Age of the Commando", The New York Times, January 30, 2016. Movie - "War Machine". Brad Pitt will be portraying General Dan McMahon (inspired by General Stan McChrystal) in a political comedy movie soon to be aired on Netflix. Navy SEAL to Receive Medal of Honor. Senior Chief Special Warfare Operator Edward Byers - a member of SEAL Team Six - will receive the nation's highest honor for his actions during a hostage rescue mission in Afghanistan in December 2012. (The Washington Post, Feb 2, 2016). Surviving BUD/S. A Navy SEAL describes how to make it through the Navy's Basic Underwater Demolition and SEAL training. Read "A Navy SEAL's Guide to Surviving BUD/S", Task & Purpose, February 1, 2016. SOF Command Moves. Almost everyone is aware that Gen Votel is going to CENTCOM, LTG Thomas (likely) to take USSOCOM, and MG "Scottie" Miller (likely) to head JSOC. Some other SOF commands are changing up. BG Kurt Sonnetag heads to CJTF-HOA in Dijibouti (leaving SOCSouth), Rear Admiral Collin P. Green will take SOCSouth. In addition, USAF BG Albert Elton will getting a second star (currently Dep Cdr of JSOC). BG Scott Howell has been selected for the grade of major general and is moving from director of operations at AFSOC and heading to Afghanistan to command the Special Operations Joint Task Force - Afghanistan (SOJTF-A). Green Beret Foundation Receives Trump Money. The Green Beret Foundation was selected by Donald Trump (presidential candidate), one of 22 veteran organizations, to receive part of the $6 million raised in an event in early February. See a press release on the topic. SOF Sustainment in Denied Areas. For those who think about logistics in a unconventional environment (I am sure at least one reader does!) the Joint Special Operations University has published an 86-page report for your reading pleasure. Read Improving the Sustainment of SOF Distributed Operations in Access-Denied Environments, JSOU Report 16-2, January 2016. More "Gray Zone" Stuff. One of the new buzz words within the SOF community and the military community at large is the "Gray Zone". As it is in vogue there are lots of writers providing their thoughts on the topic. One recent article is entitled "Paradoxes of the Gray Zone", by Hal Brands, posted by the Foreign Policy Research Institute (FPRI) in February 2016. The author presents eight paradoxes, complexities, and nuances at the heart of the gray zone idea - and at the heart of efforts to respond to gray zone challenges. Brit SAS Injured in Iraq. News reports say that three British Special Air Service members were injured during a combat operation in Iraq by ISIL fighters. (The Telegraph, Feb 6, 2016). SOF Guys in the Shadows. A recent news article provides us an insight look at four special operations groups that work in the shadows to protect Americans - Shadow Wolves, Global Response Staff, Special Collection Service, and Task Force Orange. (Independent Journal Review, Feb 5, 2016). Book on Irregular Warfare. The place where SOF operates is sometimes called "The Gray Zone" - an area between war and peace. Other terms that come to mind are low intensity conflict, guerrilla warfare, and irregular warfare. 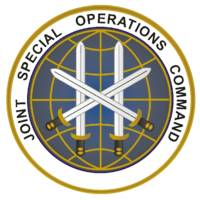 The U.S. experience in special operations started with its participation in the British Special Operations Executive (SOE) and subsequent formation of the Office of Strategic Services (OSS) - the organization from which U.S. Army Special Forces and the Central Intelligence Agency draws its history. A new book has been published that looks at this early history - Rediscovering Irregular Warfare: Colin Gubbins and the Origins of Britain's Special Operations Executive by A.R.B. Linderman. Should be an interesting read for SOF types.